Illinois Green Alliance - Limelight - The Green Building Event of the Year! Limelight - The Green Building Event of the Year! One ticket free when you purchase ten. Please call or email Pam Jackson, (312-245-8300, pjackson@usgbc-illinois), with your guest names. 9. Raffle Tickets - Purchase 6 for the cost of 5! If you are purchasing a ticket to attend Limelight, you'll have an opportunity to purchase raffle tickets during the check-out process. If you are not able to attend, you may purchase raffle tickets here. Raffle tickets are $20 each or 6 tickets for $100. At Limelight individual raffle tickets will be sold as well. You may purchase guest tickets and raffle tickets during the payment process. Benefits are listed in the event description. You will have an opportunity to purchase Raffle tickets when you check out. Please note that registration is non-refundable. Registration for Limelight is now closed. You may still join us and pay at the door. On Thursday, May 23rd from 6:00 PM -10:00 PM please join us at the National Hellenic Museum for a night of incandescent fun. Celebrate the regional transformation of sustainable communities and help us recognize the leaders in sustainability across Illinois with the presentation of the Emerald Awards. View the Award winners here! Meet our two special guests! George Bandy, Jr., Vice President of Sustainability at Interface and USGBC Board Chair-Elect, will be speaking at both the VIP Reception and main event. Deputy Mayor Steve Koch will also be joining us to accept the Chapter Mission Award on behalf of Mayor Emanuel. We are honored to have both Mr. Bandy and Mr. Koch attend Limelight this year. Register today and share a fun and exciting evening with Chapter Members, friends, sponsors and many other professionals from the sustainability industry. Enjoy drinks (the Limelight cocktail is back), hors d'oeuvres, a raffle, dancing, networking and the presentation of the Emerald Awards. Raffle: Choose from 40 amazing packages in the Limelight raffle. You may pre-purchase your raffle tickets when you register if you choose the-6 tickets for the cost of 5/$100-option. At Limelight raffle tickets will be sold as well - $20 each or 6 for $100. Group Ticket Discount - One ticket free when you purchase 10! 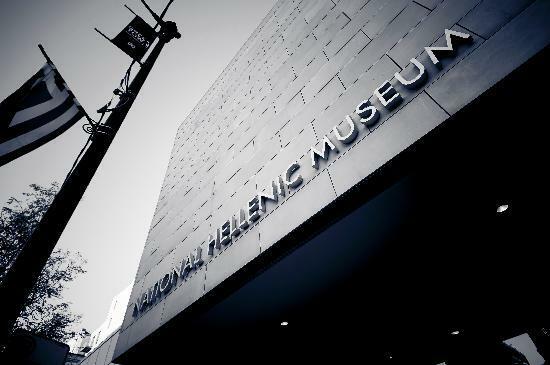 The National Hellenic Museum is located in the heart of Chicago’s Greektown at the corner of Halsted and Van Buren. By El - Take the CTA Blue line to the UIC-Halsted station. 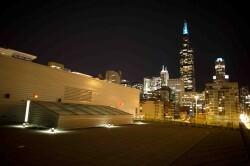 The Museum is located half a block north from the UIC-Halsted station. By Bus - The CTA Bus Route 8 has a stop right by the Museum at the Halsted and Van Buren intersection. By Car - The Museum is located near Interstates 90, 94, and 290. By using Google Maps below, you can get detailed directions from where you are to where we are. Parking - The Museum does not have a public parking lot. We recommend visitors who drive to either take advantage of street parking on Halsted or park in one of the privately managed parking lots within walking distance of the Museum. There are two available - one at the corner of Adams and Halsted, and one at the corner of Jackson and Green.